Do you like Mad Truck Challenge 3? Share it with your friends. 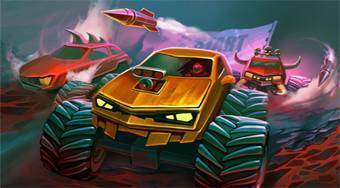 Mad Truck Challenge 3 - Sit down behind the steering wheel of a Monster Truck, ride around the game field, liquidate your opponents on the circuit and fulfill assigned tasks.